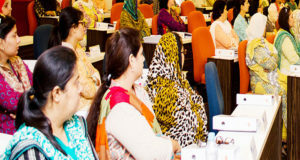 Introducing a platform to provide jobs to women who can make handicrafts, an organisation, SheEarns, launched a programme, ‘Women in Economy’, at the Karachi Press Club on Monday. Mehwish Salman Ali, founder of SheEarns, said she started off her career around 15 years ago, but even after the passage of so many years she had to face the same issues that she had faced in the past, and this was the case with many other working women as well. “I have been privileged enough to have represented Pakistan abroad due to my work, but most women are unable to find opportunities; hence, my aim is to cater to specifically that group which has little or no access to opportunities by providing them training and platform,” she said. 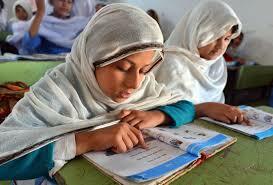 Mehwish stressed that the country could not progress if women were not able to sustain themselves financially. “According to a recent report released by the IMF, Pakistan’s GDP can increase by 30 per cent if women played a role in the labour force of the country,” she said. Referring to a tweet by President Arif Alvi, she said the president was right in saying that the consumers needed to buy Pakistani goods, especially when we produced the best goods in the market. 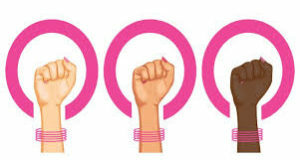 “Many times, there are programmes which are aimed to empower women but they cater to those who are privileged enough. These women do not even own phones, and their stories are commendable. We will be providing them free stalls at the Pakistan American Cultural Centre so they may showcase their products,” the SheEarns founder said. Mehwish explained that the women whom she would be assisting through her initiative made crafts related to attire, cosmetics and other areas. “These women who can do crochet sell their articles for Rs100 but it goes up to Rs150 on the shelf, and further up when it is sold at malls or duty free shops, but the women receive the mere Rs100. We want to connect these women to international buyers by training them. They will be provided with an interpreter if they do not know the foreign language, and their start-ups will emerge,” she said. It was also said in the launch ceremony that the organisation had received more than 15,000 applications from Karachi, of which 100 could be shortlisted according to the niche for their created items. SheEarns would also be holding more trainings, workshops and exhibitions to boost women who wanted to support themselves financially.